SALT LAKE CITY, Utah -- On the heels of the launch of Apple's iPad2 and GarageBand™, DigiTech a leading manufacturer of guitar signal processors announces compatibility of its world-leading RP multi-effects pedals with the iPad. Guitar players around the world now have the ability to stream, record, and playback high-definition audio tracks through DigiTech's RP multi-effect pedals directly to an iPad. The HD audio streaming capability of RP multi-effect pedals allows players to take further advantage of the increasing number of applications for musicians available from the Apple App Store™. "As an early owner of the Apple iPad. 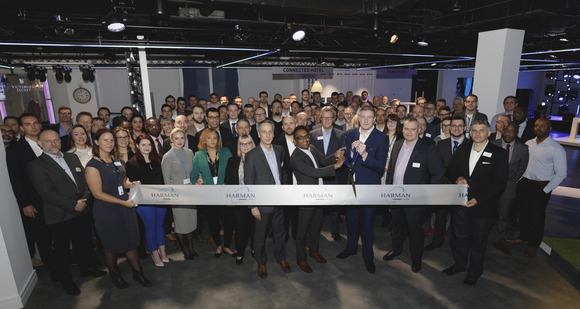 I immediately recognized the power and relevance of the platform for the working musician, and was determined to integrate it with our products," stated Rob Urry, Vice President and General Manager of Harman Professional Signal Processing Group. "DigiTech's mission for the last 26 years has been to provide leading edge guitar and vocal technologies to everyday working musicians." Urry continued, "We are excited to be the leaders in providing high-definition audio streaming and playback capability with the iPad." "DigiTech has many years of experience supporting Apple and Mac™ OS users," said Jim Pennock, DigiTech Director and 25-year veteran of signal processing product development. "We're thrilled to have a broad range of multi-effects pedals from the RP155 to the technology leading RP1000 that all work with the iPad." There are six different models of DigiTech multi-effect pedals with direct streaming, recording, and playback capability with the Apple iPad, including the RP155, RP255, RP355, BP355, RP500, and RP1000. Each model offers guitar and bass players a different range of capabilities and features starting at $99.95. DigiTech develops and manufactures the world's best selling multi-effect processors for guitar players. 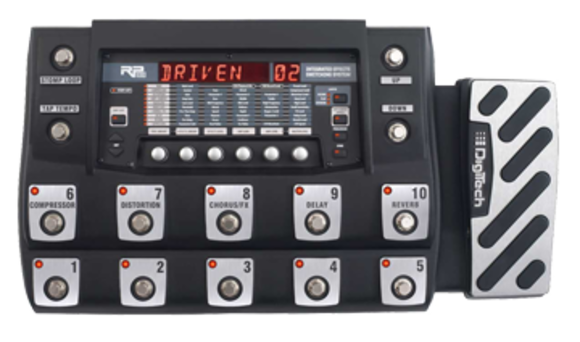 As the inventors of high-definition effect modeling and multi-effect processing, DigiTech Rp multi-effect products offers a wide range of effect, amplifier, and cabinet models players can choose from to create their own guitar tones. With up to 200 factory and user-programmable presets and extensive footswitch control, DigiTech multi-effect processors provide guitar players an arsenal of tones and effects for use on stage and in the studio. Apple, Mac OS, GarageBand, App Store are registered trademarks of Apple.